ISLAMABAD: Ambassador to the United States Aizaz Ahmed Chaudhry has stated Pakistan will discuss India’s violation of the Indus Water Treaty with the president of World Bank, Radio Pakistan reported. Speaking to media on Saturday, Chaudhry revealed a four-member delegation led by Attorney General of Pakistan (AGP) Ashtar Ausaf Ali had arrived in Washington to hold the talks. He added that the issue of construction of the Kishanganga Dam on River Neelam will be discussed in the meeting. 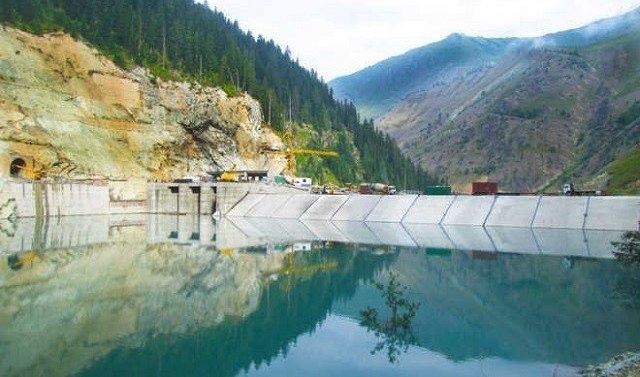 The move comes in light of Indian Prime Minister Narendra Modi inaugurating a hydroelectric power plant in the Indian Occupied Kashmir (IoK) amid protests from Islamabad as the project will disrupt water supply to the country. Pakistan has maintained that the dam violates a World Bank-mediated treaty on the sharing of the Indus River and its tributaries upon which 80 per cent of its irrigated agriculture depends. Meanwhile, black day was observed across IoK in protesting against PM Modi’s visit to the territory, Kashmir Media Service reported. Shops and businesses remained closed while traffic was off the road. The strike has been called by the Joint Resistance Leadership comprising Syed Ali Gilani, Mirwaiz Umar Farooq and Muhammad Yasin Malik.